Below you will find the answers to the frequently asked questions about our auction and trading platform. If your question is missing in the list, please contact us. What is Automotive Trade Center? 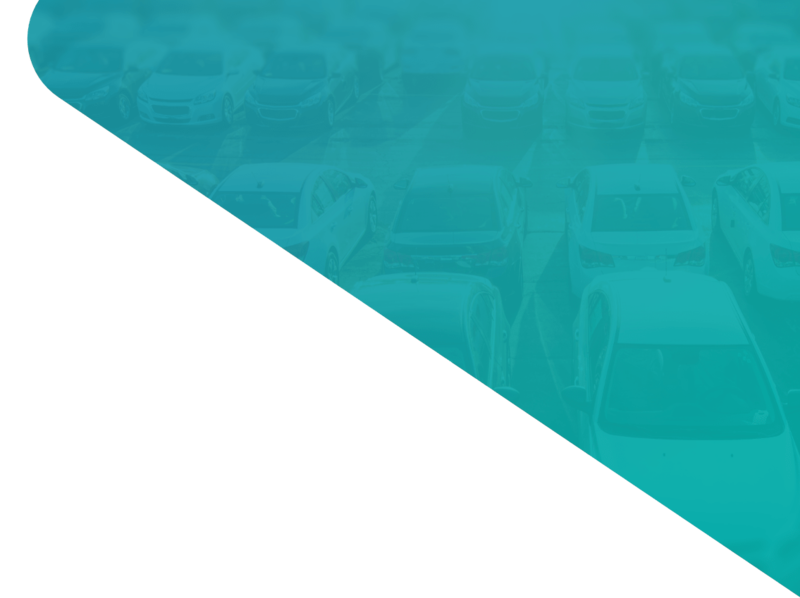 Automotive Trade Center is a transparent online auction and trading platform with full-service support for the complete buying and selling process for vehicles. Always available everywhere for everyone. Which countries does Automotive Trade Center operate in? Automotive Trade Center operates internationally. The vehicle inventory comes primarily from professional Dutch (remarketing) parties. What kind of vehicles does Automotive Trade Center sell? All vehicles that are equipped with a chassis number and wheels can be offered for sale at Automotive Trade Center. This includes private cars, company cars, motorbikes, lorries, trucks, trailers, etc. Where do the Automotive Trade Center vehicles come from? The cars offered for sale come from our professional Dutch partners, including lease companies, fleet owners, rental parties, OEMs, brand dealers, car companies and trading/auction houses. What kind of car auctions does Automotive Trade Center offer? What makes our vehicle inventory so unique? Dutch vehicles are equipped with an odometer report with a complete mileage history. Both the Dutch mentality and the lease/vehicle branch ensure that the cars are well maintained. The Dutch diesel fleet now has the lowest CO2 emissions in the EU. The Dutch vehicle registration system is unique in the world, giving you unrivalled access to the vehicle's status. This includes the mileage, maintenance and annual roadworthiness inspection. The Dutch luxury tax refund scheme (known as BPM) ensures a relatively low net/tax-free price. What makes Automotive Trade Center unique? We offer a wide range of appealing used (Dutch) vehicles. We apply detailed inspection reports and vehicle descriptions based on RDW data (government data). We ensure that your purchase transaction is completed easily, quickly, safely, transparently and risk-free. We apply a reliable, proven tax-free buying process that includes buyer protection. We work with low, fixed transaction costs. We always supply you with the right vehicle export documents (EX.A, EUR.1). We offer you the option of making mobile purchases. We ensure that can follow transactions via Track & Trace. We are part of the export expert VWE Automotive. How am I protected via Automotive Trade Center? Everyone occupied professionally with buying vehicles worldwide. You can register easily via the registration button. Registration for Automotive Trade Center is entirely free of charge. To register for a viewing account, click here. When your registration is complete, you will have direct access to the platform. To register for a bidding account, click here. Once your registration has been checked and approved, you will receive access to the platform within one working day. Which documents must I supply to Automotive Trade Center to register? It takes just a couple of minutes to complete the registration form. You may expect a response from us within one working day. Who inspects and describes the digital inventory? The vehicles are inspected and described digitally by professional inspection firms or by the vehicles owner themselves via a fixed process. The Terms & Conditions clearly state for each auction who provided the vehicle description. Where can I change my company details? Send any changes to your company details to customer@vwe.nl. If our automatic checks detect that your details are no longer up-to-date (your VAT number changes, for instance), we will send you a request for the new details. If you fail to provide the details, we will deny you access to bidding until the correct details have been confirmed. How do I request my password / user name? Why is my account blocked? The amount that you bid excludes taxes and buyer costs. The General Terms & Conditions of your bids always state clearly the costs you can expect. Bids on Automotive Trade Center are binding. If you have made a bid, it cannot be cancelled. When will I know that a bid has been successful? You will see in your list of bids whether you have won the vehicle. Allocation is completed no later than 24 hours after the hammer has fallen. You will then receive a purchase confirmation and the invoice incl. buyer costs. You only pay if you have won a vehicle. We also charge fixed buyer costs. The current buyer costs are stated in the auction terms and conditions on the vehicle details page. Which vehicle documents do I receive? All vehicles are equipped with the correct registration papers so that you can sell them on or (re-)register them in your own country without problem. Dutch vehicles are all equipped with an RDW odometer report and Type Approval information (CVO/COC data). Who describes the digital inventory? The vehicles are described by professional inspection firms or by the vehicle owner themselves. Automotive Trade Center opts very deliberately not to describe the vehicles. This is so ensure we retain our objective and independent role. When can I pick up my vehicle? The vehicle you have won is automatically released once payment has been received (credited to account) and the vehicle documents are ready. You will receive a collection message per mail that you can use to report to the storage location. This location is stated in your collection message. We try to keep turnaround times as short as possible for you. For domestic transactions, the vehicle is delivered within five working days at the registered company address so you do not need to pick it up. How do I know where to pick up my vehicle? The address where you should pick up the vehicle is stated in the collection message. The vehicles are always stored at a secure location, such as Koopman Car Logistic group in Amsterdam. Is it possible to have my vehicle delivered? Yes, in many cases this is possible. Also for international deliveries. To find out about the options and current rates, please contact the Remarketing department via +31 8893 7050 or remarketing@vwe.nl. Can you send me my vehicle documents? Yes, that is possible. To find out about the options and current rates, please contact the Remarketing department via +31 8893 7050 or remarketing@vwe.nl. Which transaction turnaround time can I expect with my vehicle? We always aim for as fast a transaction turnaround time as possible. NL -> EU/NON-EU (export from the Netherlands) = ready at collection location within five working days on average. EU -> Netherlands (importing to the Netherlands) = ready at collection location within 10 working days on average. NL -> NL (national sales within the Netherlands) = home delivery within five working days on average. What are the payment terms and conditions? You must clearly state the invoice number and the vehicle registration number / VIN. Why is the invoice higher than my bid? Bids are always excluding the fixed buyer costs. When do I receive an invoice either including or excluding VAT and/or BPM? This depends on the country of registration. If you are registered as a company in the Netherlands, then you will receive an invoice including VAT and BPM (gross). If you are registered as a company in the EU, then you will receive an invoice excluding VAT and BPM (net). If you are registered as a company in a NON-EU country, then you will receive an invoice excluding VAT, but including BPM. *Norway, Iceland and Lichtenstein belong to the European Economic Area (EEA), but are an exception to the rule. A 0% BPM rate applies in these countries. Do I receive a payment confirmation? Our systems check multiple times a day whether the payment has been received. Once payment has been received, you immediately receive a payment confirmation or collection notification. Why is there a deposit noted on my invoice? In certain situations we can deliver the vehicle to you tax-free, but we require the correct proof from you retrospectively (Confirmation of Exit, CMR consignment note, registration certificate, etc.). You will be clearly informed in advance if a deposit applies. The deposit amount is 50% of the taxes due. You receive a deposit certificate with the vehicle documents as proof of payment. After you have provided us with the necessary proof, we will repay the deposit to you within five working days. We set the deposit automatically on the invoice, but if this causes a problem when importing due to levies on import rights in your country, then please inform us of this. Please contact the Remarketing department for this purpose via +31 8893 7050 or remarketing@vwe.nl. When must I send proof of payment? Only with your first purchase or for specific inquiries. We perform these inquiries to create mutual trust. Otherwise, your vehicle is never released based only on proof of payment. What payment term do I have? You must pay the invoice within two days. Where can I submit a claim? You may submit a claim via remarketing@vwe.nl. Claims must be accompanied by a registration document, a VIN and a clear description of the claim, including photos. All claims are subject to the General Terms & Conditions. What are the claim guidelines? Claims larger than 500 euros are assessed individually. Claims smaller than 500 euros are not generally accepted. This is part and parcel of buying a used car. What are my options if a claim is rejected? We consider it important to build up a lasting relationship with you. If your claim is rejected unfairly, we can engage an independent expert to assess the situation and provide advice as to a solution. The costs of engaging an expert are at your own expense. Signing up for an account is free. Join the number one online trade platform in Europe. We connect supply and demand for used cars. More infomation about Automotive trade centre? If you have any questions about our services or website, feel free to reach us. VWE Remarketing is a 100% subsidiary of the VWE Automotive. VWE Automotive is the largest automotive serviceprovider in the Netherlands with more than 40 years experience. VWE Automotive provides vehicle information and services for 10,000 active members and has concluded more than 2,5 million export transactions. More information about Automotive Trade Center? If you have any questions about our services or website, please fill in the contactform below.